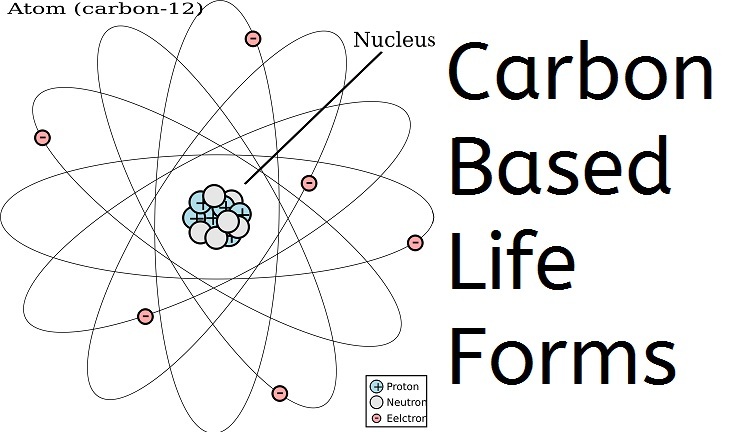 Growing up, I would hear science fiction people talking about creatures with bodies as “carbon based life forms.” Not being good at chemistry (it’s too much like math for my taste), I didn’t understand what “carbon” had to do with anything. Why didn’t the people who had no trouble inventing aliens with all kinds of crazy features just have them based on some other element? What’s so special about carbon they presumed life had to use it? There is something amazing about carbon’s ability to connect with other elements to form complicated compounds. When you compare every other element, mixing and matching liquids to help out (God uses water to do this on earth), you can’t come up with anything close to carbon. Not only can you make a lot of different compounds out of carbon, they can be very stable. Which means they don’t just fall apart as soon as they form, so life forms can depend on their sturdy support. Of course, there are people who so badly want there to be space aliens they insist things like ammonia and sulfur would work just fine, but see what you think. I found a perfect discussion of this at NASA where a 10th grader wrote in and asked this question. I’ll let the astrophysicist explain it to you HERE. There are nearly ten million known carbon compounds and an entire branch of chemistry, known as organic chemistry, is devoted to their study. in 1955 American scientist Francis Bundy and coworkers at General Electric finally demonstrated that graphite could be transformed into diamond at high temperature and high pressure. Diamond, on the other hand is one of the hardest substances known to exist! Scientists have come up with a cool form of pure carbon that works a lot like one of these little kids balls. Nicknamed “buckyballs”, they have all kinds of plans for stuffing it with other molecules, and trying electric and magnetic stunts with it. For more about this compound, aka Fullerene, see THIS PAGE from the U. of Wisc. May the LORD’s glory continue forever!